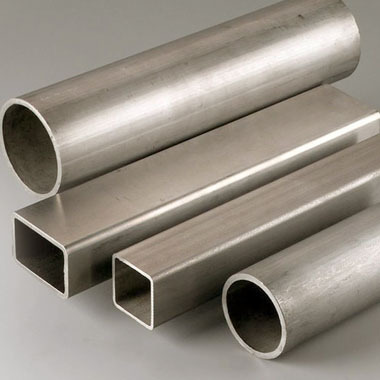 Aspirinox Alloys Inc is renowned manufacturer and supplier of Duplex 2205 Pipe in India. Our offered range of Duplex 2205 / UNS S31803 Pipes is widely used duplex stainless steel grade featuring excellent general corrosion resistance and superiority properties. Our reputation as Duplex 2205 Pipes Suppliers available in various sizes and thickness as per the demands of the clients. The Duplex UNS S31803 EFW Pipes are used in various industries such as chemical, petrochemical, marine, oil and gas and transportation. Duplex UNS S31803 ERW Pipes has smooth finishing and durability and this benefits the clients. The characteristic feature of ASTM A790 Duplex 2205 Round Pipes is their dual phase microstructure, comprising of approximately 50% of austenitic and 50% of ferrite. The yield strength of WNR 1.4462 Duplex Stainless Steel is typically two times that of austenitic stainless steel. Available in size range from 1/8″ to 6″ with Plain End, Beveled End, Treaded finished end. We have ample stock of Duplex Steel 2205 Seamless Pipes and we ensure that timely delivery is done. The end of the pipe is a plain end, threaded end and bevelled end. Our Duplex Steel 2205 Welded Pipes are also useful for processing equipment and this helps in ensuring varied industry use and is also used in high chloride environments including marine environment. Call us now and request a free quote! Specifications for Duplex 2205 / UNS S31803 Pipes. If any specification is not mentioned here, please use the contact button for quick quote. Request the latest Duplex 2205 / UNS S31803 Pipes List. Please click on the request a quote button or click here to request the updated price list and ready stock information along with your requirement. Aspirinox Alloys INC maintains a stock of all standard items and can export them at best price for Duplex 2205 / UNS S31803 Pipes.